This decoder is for converting Marklin/Trix H0 locomotives with built-in high-efficiency motors or other DC motors. 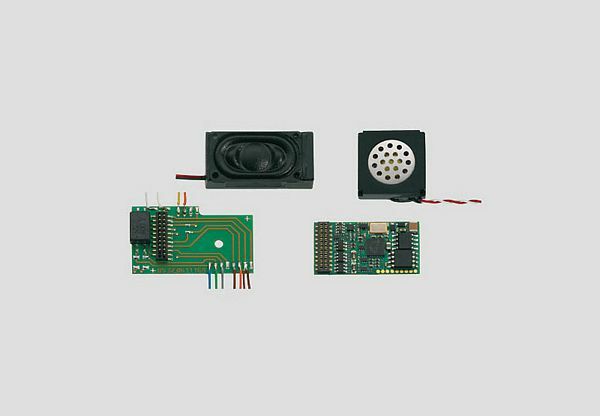 The marklin mSD SoundDecoder has a 21-pin connector and an accompanying connector circuit board for converting analog and digital locomotives. The marklin mSD SoundDecoder supports the digital formats mfx, MM 1, MM2, and DCC. The decoder has preset sound for a diesel locomotive.